Women who gave birth or adopted the second or subsequent children receive a certificate for maternity capital. It can be used on the cumulative part of the pension, for education of any account of the child, improvement of living conditions. Living conditions can be improved through the purchase of an apartment or a house construction, repayment of the mortgage loan. To use the maternity capital for the purchase of the apartment, you need to apply to the pension Fund and to submit a list of documents. 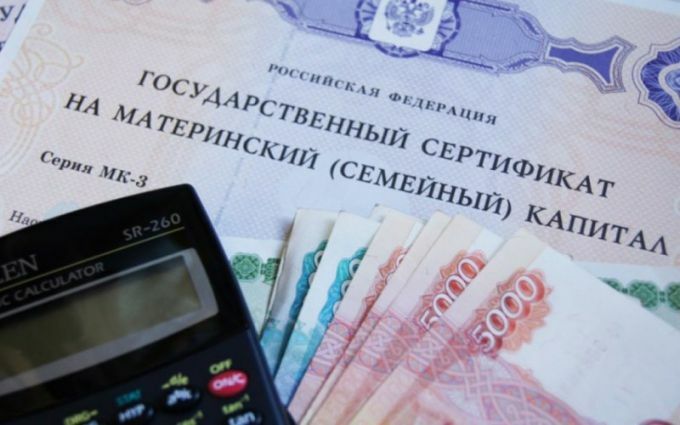 After reviewing your application and documents by the specialists of the pension Fund will inform, when will be transferred funds from the maternal capital for repayment of the rent. Cash will not be issued. They will be transferred to the credit of the organization in which you made a purchase of the apartment. In line with this, the apartment can be purchased only on credit or to take the target credit on the remaining amount of money. Maternal capital to repay part of the loan or the balance that was issued to purchase housing. Theoretically, the maternity capital can be used for a down payment when buying apartments, but in practice to do this is problematic. The fact that the use of funds for the purchase of housing must be presented to the pension Fund of credit documents, documents of title to the apartment and a certificate of ownership. If these documents are not available to pay for the apartment by means of the parent capital impossible. Therefore, the most optimal variant of purchase of apartment is to extinguish the parent capital existing mortgage or get a mortgage, to pay the first installment from their own funds or from employment, to execute documents on apartment and to provide them to the pension Fund. You must remember that not all banks are willing to work with the parent capital therefore, selecting the Bank to get the mortgage interest on the possibility of calculation of funds on account. The use of the parent capital. You can spend the maternity capital, not earlier than three years after the birth (or adoption) of a child, who gave You the right to maternity capital. If it is not (or he, too, is deprived of parental rights), the means of family capital is divided equally among the minor children. Until the children are 18 years of age, these funds can be used by the Trustee, but only with the permission of the guardianship.